The former Ray’s Food Store in North Albany Village as it looked in October 2016. Until it actually opens, the questions no doubt will keep coming: When will the announced new supermarket in North Albany Village be in business? The latest answer: September. One of those interested in the story is Portland developer Jim Winkler, whose rezoning request on acreage east of the North Albany shopping center is pending before the Albany City Council. He wants to build a housing complex on the land, and tenants there would find a full-service market within walking distance a great convenience. Outside a hearing on the zoning issue last month, Winkler told me he understood The Myers Group, based in Washington state, now planned to open the store in September. Today I checked with Pete Snook, development director for Deacon Corp., which administers the shopping center. I mentioned that a couple of doors cut into the former Ray’s were still unfinished. The doors are to serve the outdoor section of the Ace hardware store that’s part of the supermarket plan. I remember all the fanfare and hoopla from residents when Ray’s announced they were coming to Albany. Unfortunately, not enough NA residents put their money where their mouth was and Ray’s went down in flames. Ray’s was ridiculously overpriced, even for the more tony N. Albany residents. It was never a “full cart” grocery store. This one won’t fare better either, unless prices are more in keeping with the stores waaaay across the river. I was never willing to sacrifice cost over convenience. I agree about Ray’s, though I was more familiar with their Philomath store (also closed), which was somewhat unpleasant as well as expensive. Overpriced? Not full cart? My solution is to “cherry pick” the overpriced stores (Market of Choice) or gimmicky stores (Fred Meyer) and buy everything else at Winco. Go without a shopping list and only buy what looks good and cheap. There’s always something to buy. The Ray’s chain closed 16 stores at that time. I’m sure it was all the fault of the evil North Albany residents. The comments from you and Hartman are so ridiculous neither of you can even be taken seriously. If the store was making good profit it would be open and not one of the 16 or 17 closed stores. Single store profitability means nothing when the parent company has to fork over a sum to creditors many times larger than any one store can make in decades of operation. 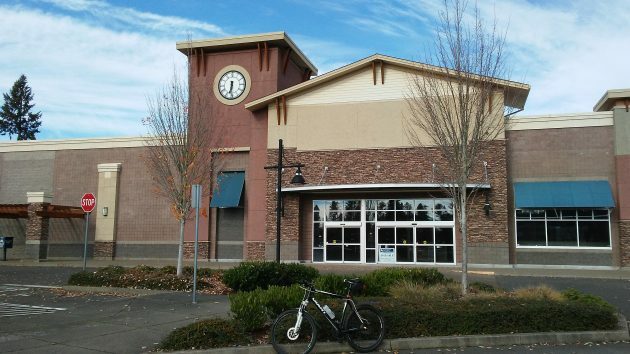 The Philomath store made a hefty profit, still wasn’t enough to save it. I will believe it when the doors actually open. Just too many delays. If the NIMBYs win against housing, maybe it won’t open. I highly doubt the net effect of rezoning a property from RM to MUC (with a trip limit cap, however the hell you enforce that anyway) has any impact on the stores bottom line. Though maybe if they pack in enough apartments traffic will be so bad that people will no longer deem crossing the river worth it for cheaper groceries. Usually I enjoy reading your articles, however the crew that post comments…. Gordon Shadle is so negative, he finds something to complain or krumudgen about with every article. Gordon I challenge you to find something positive to say. Better publish your full name or he’ll really go negative on you. Spelling and grammar errors make you look uneducated. Who really cares what Gordon Shadle has to say. He lives in Arizona or some place. He probably sends his weasly remarks to the Penobscot Weekly as well. What’s wrong with the Penobscot Weekly? Busted. I do send weaselly remarks to the Penobscot Weekly. But I save intelligent commentary for Hasso’s blog. And what is with the atrocious spelling? Weasly? Clearly, GAPS needs to do a better job preparing its graduates for the adult world. There’s a place for counter-comment (some would say “negative.”) Look what has happened to the mainstream media? And look what happened to Hasso! The D-H has changed from a good counterpoint to the Gazette-Times to an echo thereof. Keep it coming, Gordon. And I’m sure Penobscot benefits from your comments too. As we are severely off topic, I’ll add a bit as well. Ever since they re-tooled the D-H web site (perhaps a few years ago now), it is just too difficult to find articles. It’s too much effort to respond to letters to the editor there and have a conversation. It was better before the make over, which conforms to some standard I have seen at other newspaper sites as well. In contrast, Hasso’s blog is easy to read, easy to comment on, and is better for communication.